Due North Systems are James Warren and Jared Kozak, both Business Information Technology graduates of Red River College. As their first project through the ACE Project Space, they enlisted the help of our students to build out a platform to connect and deliver educational technologies. The problem domain was such that there was a gap in school systems to recruit and facilitate peer tutors. Most K-12 schools in the area didn’t have access to technologies to facilitate the process of recruiting and scheduling peer tutors. For students interested in becoming a peer tutor, the process wasn’t always clear or simple. Before Due North System’s web application, teachers were responsible for the manual upkeep and maintenance of peer tutoring activities. Our students worked with Due North Systems to automate and facilitate the needs of student and teacher peer tutoring activities. The web application they developed makes use of flexible and agile organization, and time management. By the end of the project, the Due North Systems had developed a product that has since been implemented in a number of Manitoba schools. Instead of managing peer tutors manually, teachers are able to use the web application to increase the number of peer tutors available because the process very manageable. 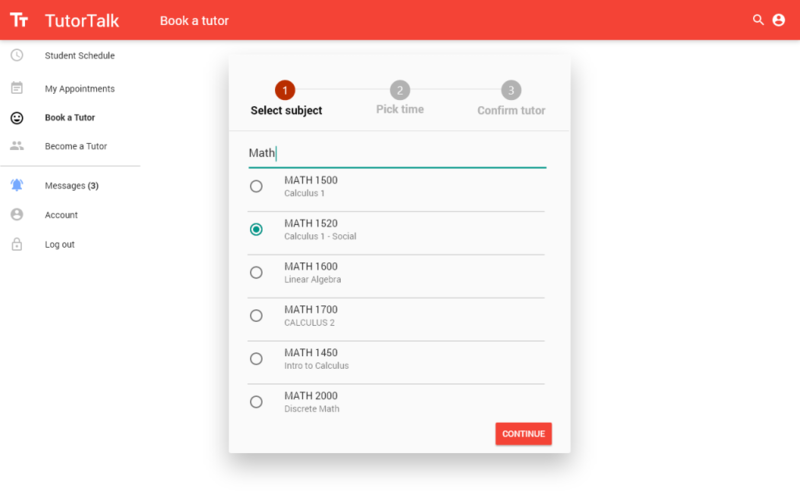 It is also easier for teachers to recruit new tutors, those who now use Due North Systems peer tutoring application have doubled the number of students and tutors that they keep track of. Students are able to request appointments based on when they need help and reduce their waiting times to receive help. Teachers can now spend more time focusing as less time is required to organize tutors and students.